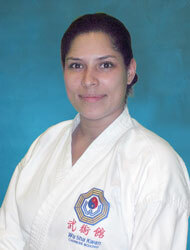 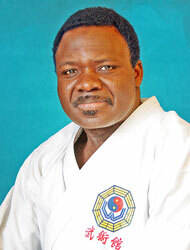 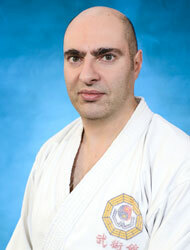 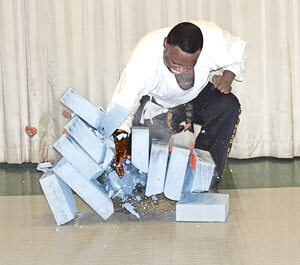 Gustave is one of the high-ranking martial artists in the world who can break 3 house bricks with a mighty chop. 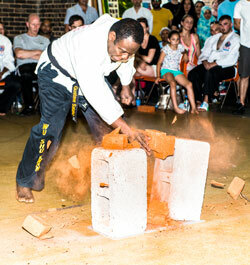 The chop was so powerful that it pulverises the bricks sending the shattered pieces flying. 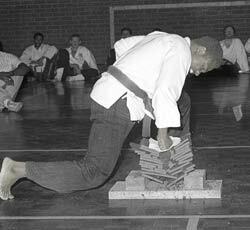 Gustave breaking a stack of 12 roofing tiles with his bare fist. 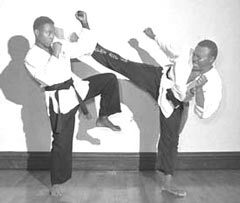 Gustave (right) showing his son Frank how to neutralise a kick. 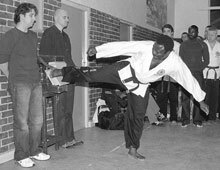 Gustave breaking 4 pieces of wood with a powerful side kick. 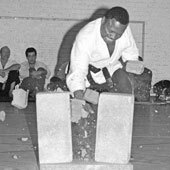 Gustave chopping 2 house bricks with his hand. 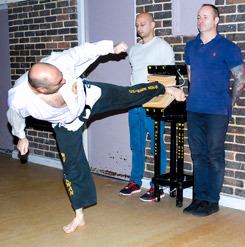 Arash breaking 3 pieces of wood with a side kick. 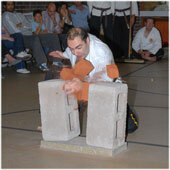 Arash breaking 2 house bricks with a powerful chop. 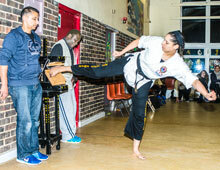 Camila breaking 2 building blocks with a chop. 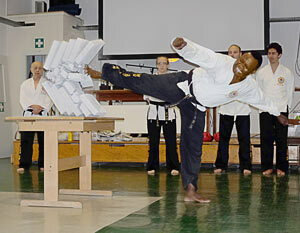 Camila breaking 2 pieces of wood with a side kick. 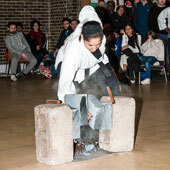 Camila breaking a stack of 8 roofing tiles with a punch.